m*Command is an easy-to-implement, modern and modular CAD system. 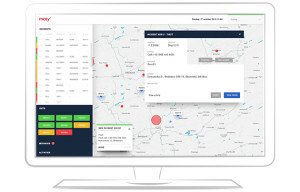 m*Command provides command centres with real-time visibility of police officers and vehicles on a live map. It also helps with managing incidents and its business intelligence tool provides instant access to critical information (vehicle registration details, penalty fines, criminal histories and videos). Police command cetres across the globe rely computer aided dispatch (CAD) technology to manage police vehicles and officers. We offer owerful, easy-to-implement and modular CAD system that supports collaboration with police officers in the field.